Center Magazine pouch with quick release cover, holds three 30 round clips. 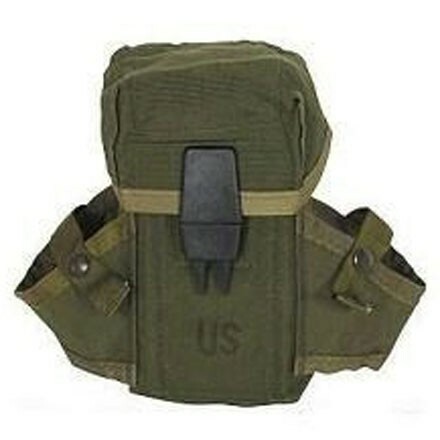 2 Grenade carrier pouches with straps and quick release snap closure on sides. ALICE clips on back to attach to web belt or any ALICE compatible platform. Useful pouch for tools, first aide kit, etc.